As someone who is typically described as a people person, I have to admit I never thought I’d be capable of traveling solo. Boy, was I wrong. Solo travel is similar to going to a movie by yourself. The first time you do it, you’re nervous, out of your comfort zone but then you realize you CAN do it. Solo travel is also great when you’re overdue for a vacation but none of your friends or family can go at the same time. Rather than skip the trip, go and use the trip as some me time. You get to do what you want, when you want, sleep as late as you want, and it’s really easy and you can be as selfish as you want! I sound a bit selfish as I’m writing this, but it’s true. With how busy we all are with professional, personal, family, community and friend demands and pressure, you rarely have more than a day at a time to do exactly what YOU want to do. Solo travel is perfect for just that. My first experience with solo travel was in 2012 when I decided to leave the corporate world and go to work for myself, which in perfect honesty, when I quit I was not sure what my next steps were going to be. Of course I did what I always do. I took the time I had between jobs to travel the world and decompress. My one-month travel abroad started in Hong Kong (read more about Hong Kong here), a first for me to visit China which I loved, followed by Bali for 23 days, read more about Bali here. 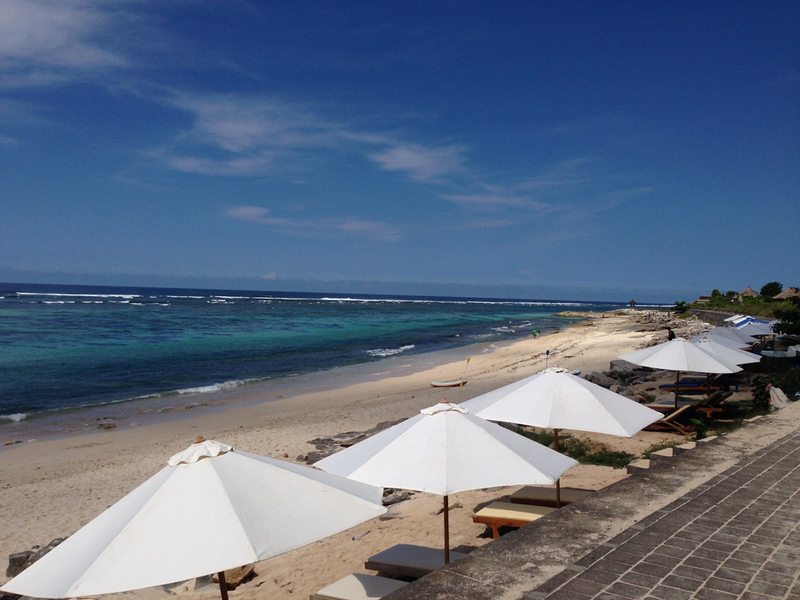 Bali is truly one of those destinations you can go to and leave your day to day life to relax and totally unplug. I was only there 3 weeks and in hindsight, wish I spent about two months traveling but I didn’t plan that at the time so hopefully me sharing this may inspire you to take a few months (between a job or graduate school) to do just that. Spend two to three months abroad seeing the world!! 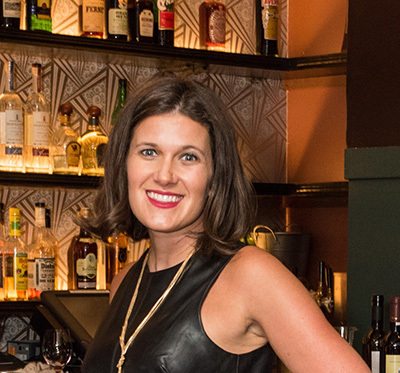 Upon returning from this soul searching, corporate detox trip I realized I wanted to work for myself and then started by own business, Emily Martin Communications & Events. Although I had almost a month to travel and see the world, most of my friends did not so I decided to plan a solo trip. I started in Hong Kong for visiting a friend Kate who was spending time there for her job with Athleta (she sources their fabric all over Asia). I spent four days in Hong Kong before we headed to Bali for a three-day weekend before Kate would head back and my solo travel would begin. I think that starting off with a friend then transitioning on my own was perfect. 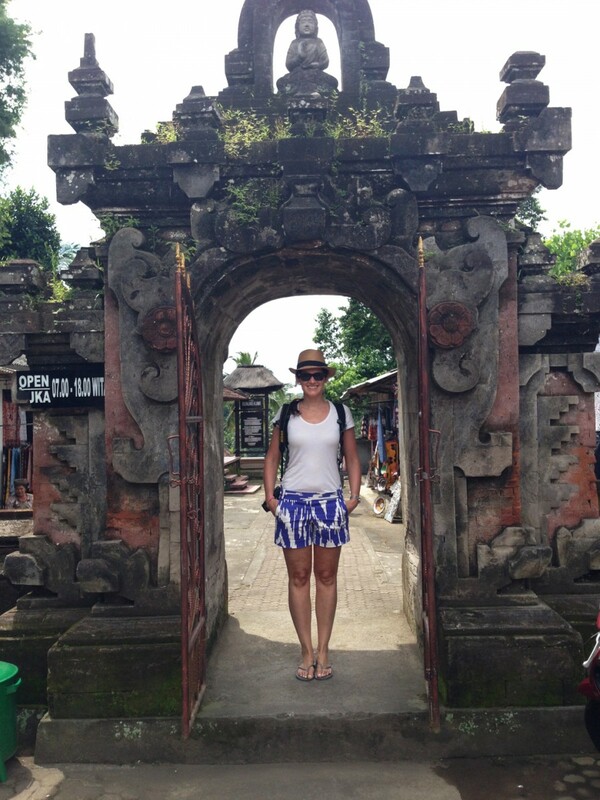 Upon Kate leaving me in Ubud Bali (read more about Ubud here) I was familiar with the country and ready to start my adventure. A few things I quickly learned are essential to traveling alone and being ok with it. 1). You have to be comfortable by yourself. I know that’s a given but I actually enjoy time alone. It’s when you can reflect, think, be quiet, read or just be present. It also lets you meet new people vs. when you’re with a group traveling you’re less likely to spark up a conversation with a stranger or even the server helping you. 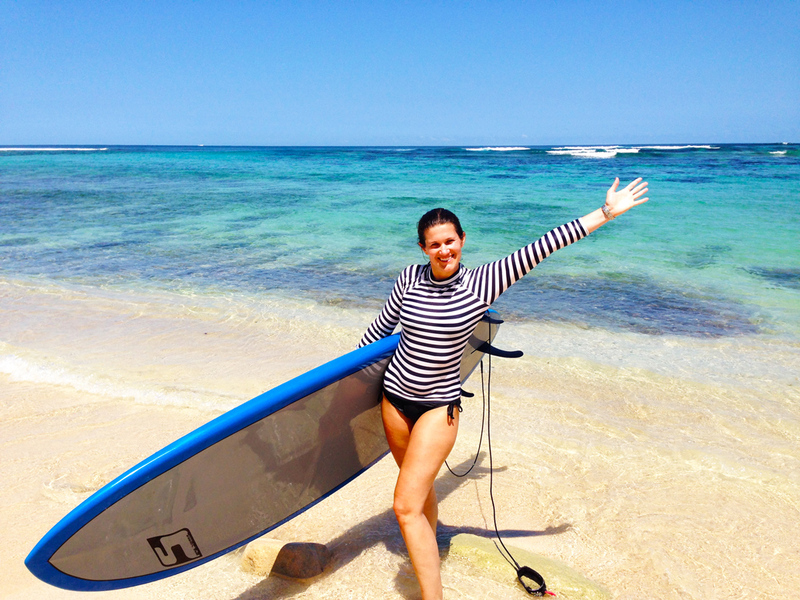 Me learning to surf in Bali. Talk about checking something off my bucket list! 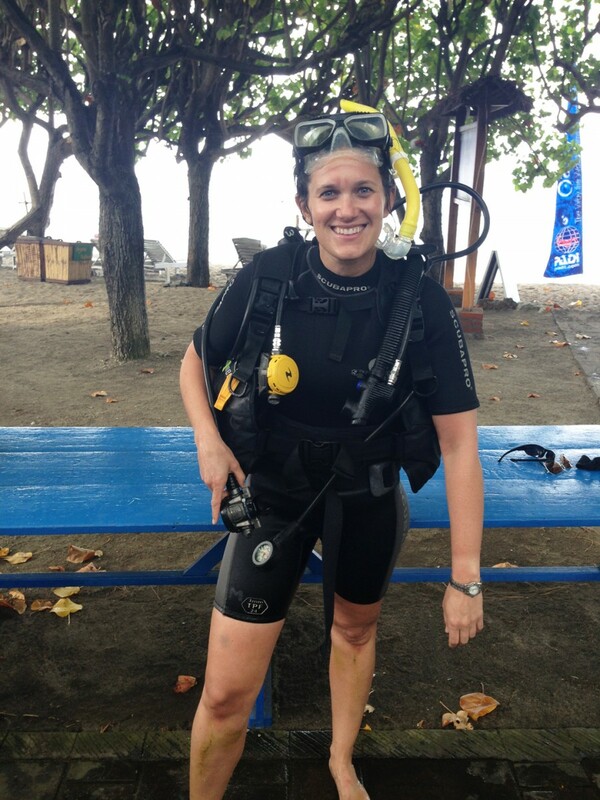 A happy girl after I passed my Scuba Dive certification. 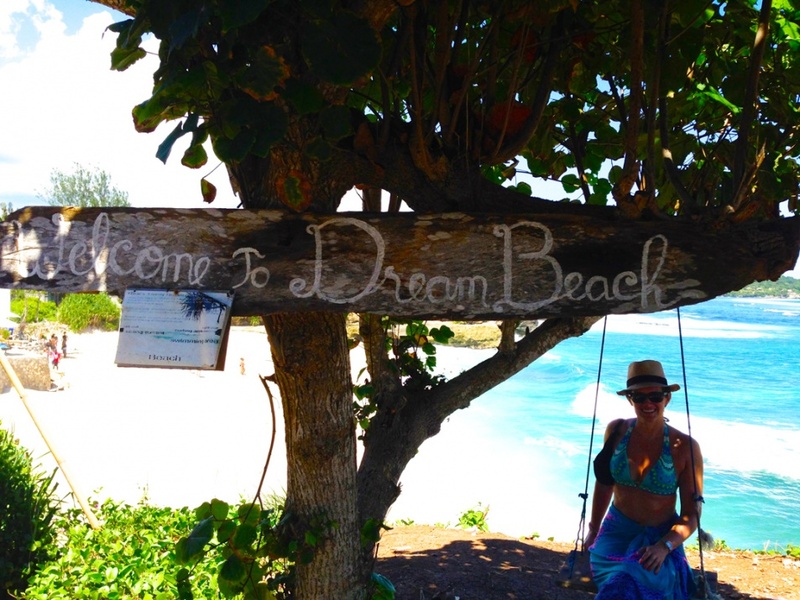 Checking another dream off my bucket list during my Solo Bali adventure. 2). Speaking of reading, always have a book! I carry my kindle with me 24/7 when I’m traveling alone. As they say if you have a good book you are never alone. So true. 3). Be friendly and smile. If you’re approachable as you sit at the bar eating as you read your kindle (which is me), people will talk to you. If you are closed off and look like you do not want to meet people, that is noticeable and people will be less likely to approach you or make small talk. 4). Be savvy and trust your GUT! There is something about your intuition and trusting it. If you feel nervous walking in that dark alley. Listen to yourself and turn around and find a safer more brightly lit road. 5). Sunglasses are great tools to hide your eyes from unwanted viewers. It sounds funny but it’s true, they shade you and help you avoid eye contact with that creepy guy you spot on the metro. Equipped with my sunglasses an essential solo travel item for safety and of course sun protection! 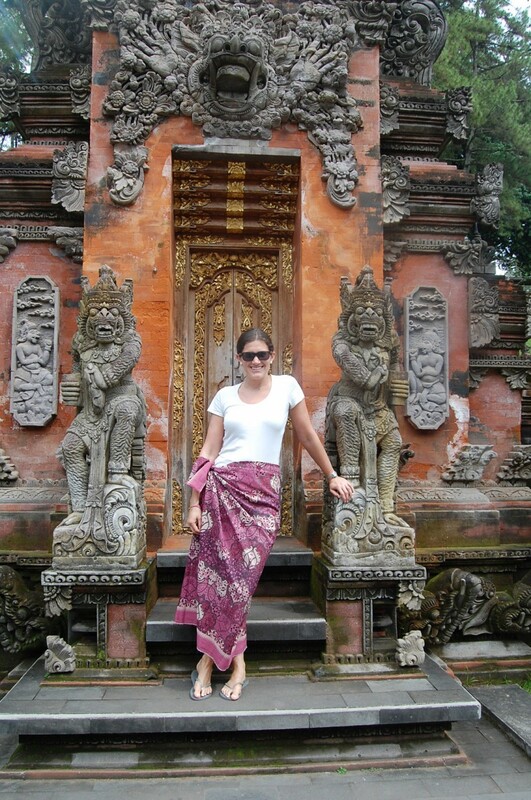 In Bali a sarong is just as critical, never leave home with out one! 6). Be careful with how much you drink. It’s one thing to get drunk with girlfriends on a trip and head back to your hotel together, but alone is a different story. I advise limiting yourself to what you would drink if you had to drive. Seriously. You need to remain sharp to get yourself back to your hotel, find the metro, say no, scream if god forbid someone does give you trouble. If you really want to have more go to your hotel bar or hotel room where you can safely relax and polish off a bottle of wine! 7). Speaking of home, do not share your hotel/hostel name or location. It seems like a logical question as you’re chatting with someone “Oh great, where are you staying, or do you like your hotel, what is it”. Don’t fall for it. You don’t need someone following you home or showing up at your hotel unexpected. Just vaguely respond “Yea, I’m staying in Soho and it’s a fabulous area!)”. Light and airy. 8). Ladies stick together. I learned at a travel bloggers conference, if you feel uncomfortable (for example on a subway with a man looking at you or touching too closely), move yourself closest to another woman. Me and a fellow solo travel pal Greta who I met while in Bali while solo traveling. We hit it off so much we joined forces and traveled together for a week or so. 9). Stay on main roads. Both for walking and taxi’s you will feel safest if you’re amongst lots of people. During my Bali trip one taxi driver offered me a faster road on the back roads. I of course heard faster and immediately said yes. Upon realizing we were the only car on the dimly light street surrounded by garages on both sides (I literally was panicking that the car would pull into a garage, I’d be kidnapped and never seen again) which did NOT happen. My point is, politely decline and say no thanks, please stay on the main road. 10). Pre plan your route and ask for directions from trusted experts. I like to plan my route in the hotel before heading out to explore. I have a map, a general pan of what I want to see (sights, areas…) and I’ll check with the concierge on the best route to get there (metro, walking, taxi…). Or if you’re out and about if you feel nervous about asking a stranger, go into a store and ask. It’s best not to look lost and vulnerable on the streets of a questionable area.